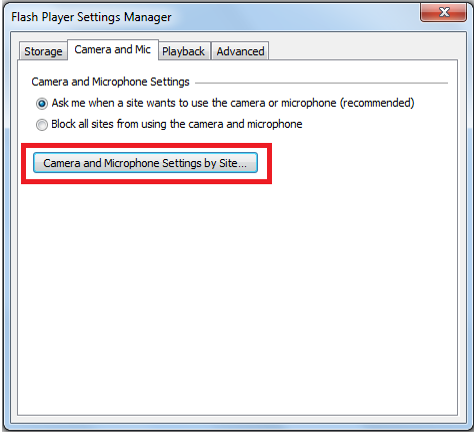 While going through the Remote Proctor Interview, if you are unable to click the Allow or Remember button on the Flash Settings prompt, please try the steps below. Confirm device you are using is supported. You can check the System Requirements for a list of the supported Operating Systems and Devices. NOTE: Tablets, 2 in 1 devices, Chromebooks, etc.. are not supported. 4. Click on www.remoteproctor.com and change the drop down to "Allow"
6. Retry the RPNow software. 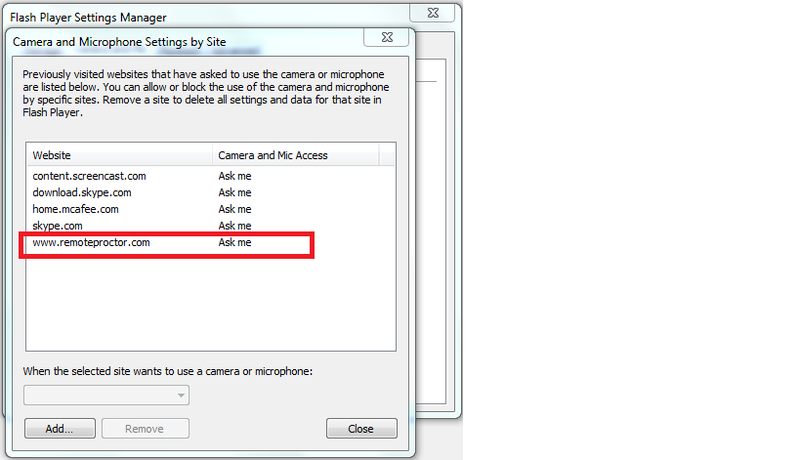 On the Camera Setup Page be sure to click Continue. If you continue to experience issues after following the steps above, please continue to Method 3 below. 3. Disable any Anti-Virus/Firewall program installed on your machine. 5. Locate the Setup.exe file that was downloaded. This is normally in the "Downloads Folder"
6. Right-click it and select "Run as Administrator"
While accessing your RPNow Exam if you receive a message that the exam password is incorrect, please try the steps below. 6. Navigate to the exact same exam that you selected in the Exam Information page. If you select a different exam than what was selected previously, the incorrect password will be inserted. 7. Before clicking the "Insert Password" button, be sure that you are on the Exam Password page and that there is an empty password field on the page. If Step 1 does not solve the issue please contact your Exam Provider for further assistance. If you are unable to download the Remote Proctor software and have passes the System Requirement Check, please try the steps below. Confirm the device you are using is supported. You can check the System Requirements for a list of the supported Operating Systems and Devices. 1. Temporarily disable your Anti-Virus/Firewall software. You may have to refer to the Anti-Virus/Firewall Manufacturer if you are unfamiliar with the steps to disable your Anti-Virus/Firewall software. NOTE: This only needs to be disabled temporarily and can be enabled once you have completed the exam. 5. Right Click the Setup.exe file and select "Run as Administrator"
If you are still unable to download or run the Remote Proctor Software, please contact us. You can locate the correct number for support here.